The first time I visited New Orleans, a beautiful young man, a stranger, approached me in the French Quarter, kissed me on the mouth suddenly, and whispered, “Welcome to New Orleans.” I have had a tender spot in my heart for the fabled city ever since. 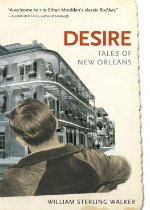 And so it was with great pleasure and anticipation that I picked up William Sterling Walker’s debut collection of short fiction, Desire: Tales of New Orleans (Chelsea Station Editions). “Desires wither the heart,” Lao Tzu warns us in the Tao Te Ching. “When there is no desire, all things are at peace.” In Walker’s stories, there’s plenty of desire. Peace, not so much. It’s clearly pre-Katrina NOLA, but there’s a metaphorical storm or two raging nonetheless. The players inhabit a pre-“cocktail” gay demimonde, ducking into bar bathrooms to check for swollen glands, for new lesions. Walker’s “tales” surface as glimpses into the lives of his cast. A curtain is drawn and we observe them for a moment or two before it slides back, cloaking them in privacy once again. The technique works well, for it allows his people, somewhat catty and shallow upon first glance, the random freedom to dispense profound observations about painting, literature and music. I was dismissing “Miss Thing” one moment, when suddenly – Shostakovich! – I was jolted into realizing that these seemingly one-dimensional folks have more going for them than I’d first imagined. Desire is a guilty pleasure of a read, conversational and conspiratorial. It’s almost as if these people are welcoming you into their private chats, dishing out the latest neighborhood gossip about who picked up whom, whose ex is now someone else’s current. 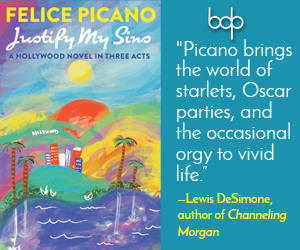 Its first-person stories seem to work best, sparkling with the directness and details of memoir. And so it’s odd to come across a moment or two where the language is remarkably leaden, throwing the reader off-track with what seems a clumsy, deliberate artfulness: “I see beneath his sedentary vigil anger, densifying on some focal point of concentration beyond the glass and whirling snow.” What? Reading the stories can sometimes seem like an engaging game of chance in which the rules keep changing. 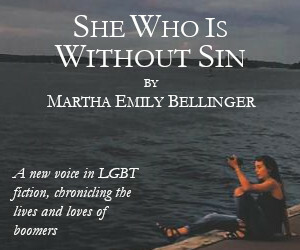 The characters, though bearing different names from story to story, betray such striking similarities (the writer, the painter, the musician, the attorney, the grocery clerk, the Tulane student, et al.) that the tales are intriguingly linked. The reader must make sense of it all. Approaching the book with a similar detective’s eye also unearths clues to authors Walker clearly admires. Tennessee Williams, of course. (This is New Orleans.) One sentence in the story “Odd Fellows Rest” (“Like the one-armed Café du Monde waiter who buys three bags of sugar-free hard candy a day”) alludes to two of Williams’ own story collections, One Arm and Hard Candy. There are also occasional nods to Nabokov, to Hemingway and a few admirable others. For me, the best story is saved until last. In “Risk Factors,” a seemingly straight, married attorney in Manhattan slowly succumbs to his attraction toward other men, giving in to flirtations in a coffee shop and at a party. More than in any other story here, desire is right out there on the surface, suggestive and tantalizing in its edgy allure. And yet so hidden, so denied. The tension makes for great storytelling. In “Fin de Siècle,” a wistful young man, while listening to Mozart’s B-flat piano sonata, observes, “You feel music long before you understand it.” The same might be said of this impressive debut. As I was reading it, I felt as if I were being welcomed into a sometimes wise, sometimes wise-cracking crowd I half-wanted to join. But did I fully understand what Walker was trying to convey? Not really. Not yet. And that’s part of the fun.